$399 WordPress Real Estate website+ $39/mo Hosting + IDX Broker = PURE Awesomeness! We thought of everything so you didn’t have to! Our special deal is loaded with everything you need in a Realtor website so you can get online fast with a website that is fully responsive on any size device. And that’s not all! Read on to see what our real estate websites come with! Our package is loaded with useful, functional options that incorporate IDX Broker Platinum, your custom branding & lots of call-to-actions to help you generate leads. You’ll also get a beautifully responsive website. But that’s not all, when you buy from us, you will also get the most amazing customer support around! We work with the best IDX company for your real estate website – IDX Broker! 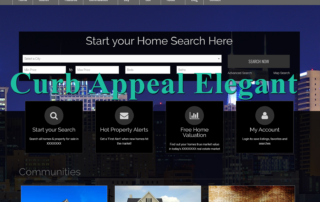 Get This Amazing WordPress Real Estate Website Deal Now! See Details Below! You have 3 hosting options to choose from. Option 1 includes your hosting and Options 2 & 3 include the Hosting plus maintenance options like Updates or Backups. Which you choose will depend on you. If you are a DIY kind of agent then choose Option 1. This means you are in charge of updating your site regularly (every week) and making sure you back it up. Option 2 will allow us to perform all of your updates for you and keep the site running smoothly. Option 3 is the whole chaBANG and allows us to add extra security, update your site weekly AND Back it up every week OFF of our hosting in a secure location.